Is Phil Robertson of Duck Dynasty Suffering Christian Persecution? Ian Bayne, a GOP candidate running for election in Illinois’s 11th District, sent an email to his supporters recently claiming that Duck Dynasty star Phil Robertson is taking a stand against religious persecution in the same way that Rosa Parks took a seat against racial persecution in December of 1955. I have been trying to decide whether I believe Phil Robertson is suffering persecution on account of his identity in Christ. I must admit that though I am a Christian, I am not much of a fan of Duck Dynasty. I live in California now, but Louisiana is my home state. My mother, in fact, lives in the same city which the Robertsons call home. Yet, I have tried to watch Duck Dynasty, and I just don’t enjoy it. Swamp People—I love that show! I identify with those folks. They remind me of my friends and relatives. They represent a little bit of the life I lived growing up in Louisiana. I do not as easily identify with the Robertsons. But that doesn’t really matter because the issue is not whether I like or dislike the Robertsons. The question is whether or not Phil is suffering on account of the righteousness of Christ. If he is, then I owe him my prayers, support, and honor on account of Christ. If not, well, then I owe him nothing and will simply be able to explain to folks why his case is not Christian persecution. Before being able to answer the question, I think we must first be able to define persecution. I wrote recently about the need for definitions when it comes to important biblical concepts like persecution. Phil Robertson’s case reaffirms why it’s so important for Christians to understand persecution. Phil’s case, I fear, is only the beginning. Christ promises always to be present with His people. Christ’s people, from the beginning of our faith, learn the goodness of obeying Jesus. By our obedient actions and, further, by our speaking of Christ and His works, we Christians become targets for persecution. As we obey and proclaim, we necessarily display the righteousness of Christ. Many people today will be every bit as hostile against Christ and His teaching as they were against the first followers of our Lord 2,000 years ago. Just as the world hated, mocked, and abandoned Jesus then, so, now, people will hate, mock, and forsake Jesus (and His followers). The question, then, in Phil Robertson’s case is simply this: Is his suffering related to the righteousness of Christ? Is his suffering on account of Christ? On the one hand, some of Phil’s statements were crude and definitely not representative of Christ. Christians are taught to avoid coarse talk (Eph 5:4). Phil’s language—by admission of his own family in their public statement—was a bit raw. Christians can’t be offensive and then claim, when called out for their offense, that they are suffering persecution. Persecution can only be a blessing if it occurs on account of Christ (and His righteousness). The Apostle Peter instructed Christians to make sure their suffering happens on account of doing what is right, not suffering for doing wrong (1 Peter 3:17). Phil could be suffering the consequences of wrong or foolish behavior. And yet, as Denny Burk pointed out, the network was not offended by the language Roberston used. Clearly, A & E was offended by Robertson’s “personal beliefs.” Most assuredly, the personal beliefs in question were those related to the sinfulness of homosexuality. Robertson—however crudely—spoke the truth from the Scriptures. He rightly affirmed from the Scriptures his belief that homosexuality is a sin. More than merely personal beliefs, Robertson’s statement reflects biblical truth. The truth which Robertson believes now has him off the air. He is suffering the loss of a television show on account of biblical truth, and that kind of suffering, in my opinion, is Christian persecution. As always, others are free to disagree and offer their own reasons for their disagreement. But I think I side with Ian Bayne. Phil Robertson is suffering persecution. The 20th Century was birthed in chronological snobbery, as the Industrial Revolution of the 19th Century brought unparalleled prosperity to the western world, making it possible to be affluent and comfortable without necessarily being moral. Progress was the century’s theme, and progress meant affluence. In other words, economy trumped morality. The old vestiges of Christian virtue were discarded as out of fashion. In the same manner that we threw out bell-bottom jeans in the 1980’s, so, too, Americans threw out chastity in the 20th Century. Now, our chronological snobbery declares that the prudish sensibilities of our sexual past are forever positively usurped. But notice the two-part definition from C.S. Lewis. In the first part, he mentions that old truths are dismissed as out of date. In the second, he notes that in the place of the old, a new set of “widespread assumptions” arise which are never even questioned. So, the common sense of our age has dismissed the old and blindly adopted the new. We mock a “puritanical sexual morality,” while, at the same time, we applaud the supposed right of women to kill unwanted babies in the womb. Our chronological snobbery blinds us to the gruesome reality of our own age and robs us of truth which lies embedded in the wisdom of ages past. The Bible is clear that past generations made mistakes. In that way, the Bible sounds faintly similar to a central concept of chronological snobbery. But the similarity ends there, for the Bible assumes further that the present generation is every bit as capable of making the same mistake as the prior generation. Thus, the present generation is always in need of learning from the mistakes of the prior generation. Otherwise, as George Santayana said, ““Those who cannot remember the past are condemned to repeat it.” Learn from the past so that you do not repeat the mistakes from it. This is the first biblical antidote to chronological snobbery. The reason we must be taught this is that we all tend to hold ourselves in high esteem, while holding others in contempt. We all think more highly of ourselves than we ought to think. This principle applies to each person in particular, as well as to humankind in general. Because such thinking is inherent in every person, it is also indicative of all of us. All of us are prone to think that we are advanced and enlightened in ways unfamiliar to the past. But it really is not so. The writer of Ecclesiastes got it right when he said (more than 25 centuries ago) that there is nothing new under the sun. Human nature has not changed. Let us learn from the past in humility, realizing that the very mistakes which tripped up our predecessors are the same mistakes which threaten us. Let us also in humility humble ourselves, esteeming others as more honorable than ourselves. This means we esteem Augustine, Luther, Calvin, Owen, Bunyan, Edwards, and Spurgeon, as though they were actually more intelligent than we (which they were). They each made mistakes from which we can learn, but such learning should be humble and should correct us, conforming our thoughts more to the thoughts of Christ. 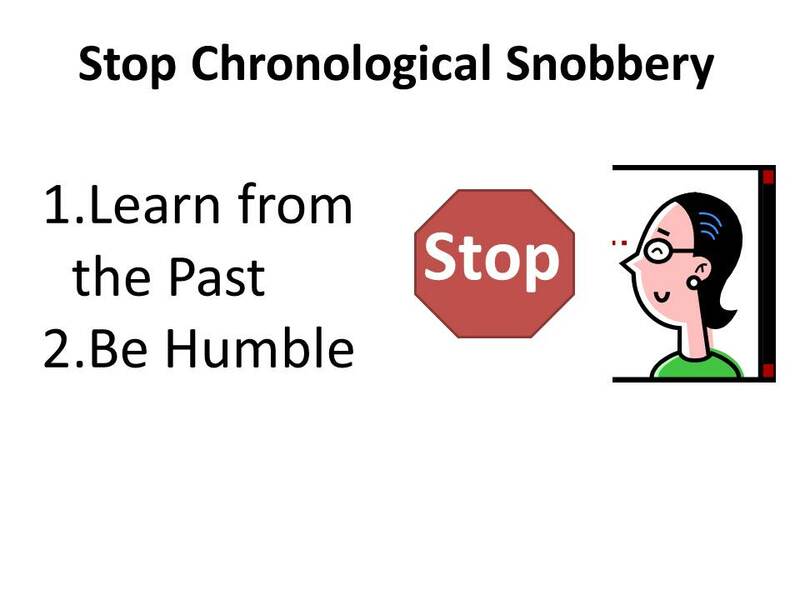 Rather than falling prey to Chronological Snobbery, we can learn from the past and be humble. These are the two simple, biblical strategies necessary to combat the error of Chronological Snobbery. C. S. Lewis, Surprised by Joy, pp. 207-208. George Santayana, The Life of Reason. Upon incurring trauma or injury, the human body unleashes a dizzying array of processes and chemical reactions for the purpose of sustaining life. Endowed with wisdom from God, our bodies are actually much smarter than we who inhabit them. When trauma strikes, our bodies unleash 1,500 chemical processes. In such trauma, our bodies produce Adrenaline so we have a rush of energy necessary to fight—or to flee. Our blood sugar spikes, sending necessary nutriment to our brains and muscles. Blood Pressure also increases, as our bodies take blood away from our extremities (fingers, toes) and shoots more blood to vital organs, to the brain, and to our muscles. Blood which moves through the body is filled with excess platelet production so that bleeding can be stopped. Endorphin is directed toward the brain and the injury so that pain is reduced. And portions of the brain are stimulated so that the body can think through the trauma and remember it afterward. The human body is, just as Robert C. Peale once called it, “the best and most efficient pharmacy.” What a miracle of complexity it is, united by its mission of sustaining human life! All this complexity in the human body is directed by the body’s head. The head is intimately connected to the body and directs its course. Such direction and intimate connection is made unmistakably clear when the body undergoes attack or injury. The physical body is used in Scripture as a metaphor for the Church—called the body of Christ (Ephesians 1, 1 Corinthians 12, Hebrews 13, etc). In Ephesians 1:22-23, Christ is the head, and the Church is the body. Think about what that means related to the persecution of Christians. As the head kicks-in to hyper-drive during trauma to the physical body, so, too, it seems, that Christ—the head of the Church—is intensely concerned to care for His spiritual body which suffers under the assault of persecution. Christ promised His early followers that they would face persecution on account of Him (Matthew 5:10-12), and He left them with the promise that He would always remain present with them (Matthew 28:20). Christ stood to welcome Stephen when he became the first martyr after Him (Acts 7). And Christ was intensely concerned when Saul of Tarsus was persecuting Him (Acts 9). Everything in the New Testament attests to the intense concern Christ (the head) has for His suffering body. 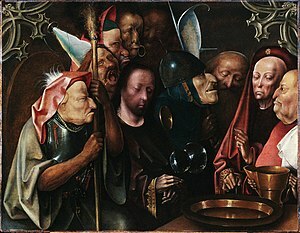 The picture in Revelation 6 is one in which the martyrs cry out for Christ to avenge His wrath on those who killed His people. The reply they receive is that Christ—and the end of history—awaits only the full number of martyred saints to be complete (Rev 6:11). And then he will avenge. To miss the point that Christ is intensely concerned for the persecuted church is to miss a significant piece of the New Testament gospel. Don’t miss the gospel. 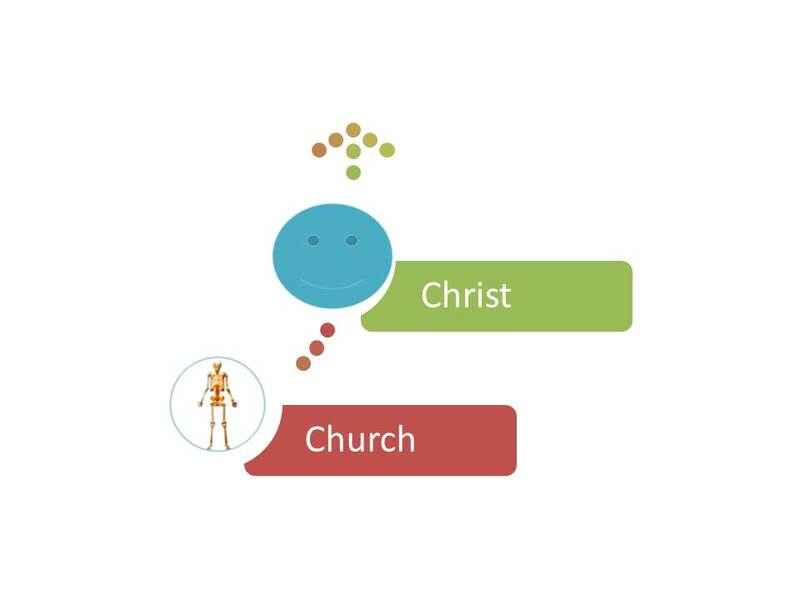 Don’t miss the priority Christ—the head—has placed on His body—the church. Christ is intensely concerned for the persecuted; thus, we are, too. As noted in the first part of this article, Christ taught His original followers that persecution would continue on account of Him (Mat 5:10-12). We have seen that the presence of Christ provokes persecution now just as it did when Christ walked the streets of Jerusalem (and was eventually nailed to a cross). What we shall consider further in this article is what the presence of Christ means. At minimum, the presence of Christ means that Christ is present with His people in the fullness of His identity. He is not present as we want Him to be. He is present as the true person He is. Christ exists as the Son of God without reference to our preferences. He is who He is. He will not be someone He is not. Before Jesus utters his commands, the reader has been informed—by OT prophecy, by John the Baptist, by God, and by the devil—who he is: the Messiah, the Son of David, the Son of God . . . . This Jesus, therefore, by virtue of his identity, must speak with authority and make sovereign demands. The obligation to obey the commands of Mt 5-7 is grounded in Christology, in the person of Jesus. Matthew sets up his gospel so that one may first recognize Jesus’ unique status and then heed his commandments. Jesus is King of heaven and earth (Matthew 28:18-20). So, when we say that Jesus is present in the church, we say that the sovereign Jesus is present with claims of kingdom authority and demands for obedience. The Gospel of Matthew ends with Jesus saying that all authority in heaven and on earth has been given to Him. No one overrules Jesus Christ. And, in fact, Jesus gives His followers the commission to make disciples of all peoples, and part of the disciple-making process is teaching people to obey everything Jesus has commanded (Matthew 28:18-20). Such authority means that Jesus is king. True to being a king in the God-intended sense (see Deuteronomy 17), Jesus established the righteousness of God on earth. Jesus the King still demands all men everywhere uphold the righteousness of God. So, where Jesus is present, there is also a demand to uphold the righteousness of God. It isn’t simply a demand to obey; it is a demand to obey which is backed with authority from God. Indeed, this startling dynamic is the thing which surprised people in Jesus’s day. At the conclusion of the Sermon on the Mount, the people were amazed that Jesus spoke with such authority, rather than speaking as merely “a good teacher” (Matthew 7:28-30). The presence of Jesus is the presence of a sovereign king making sovereign demands. His is not the presence of merely a good moral teacher. When preachers preach Christ, they present before their hearers a king making sovereign demands with implications for eternity. The stakes could not be higher, and the claims could not be greater. 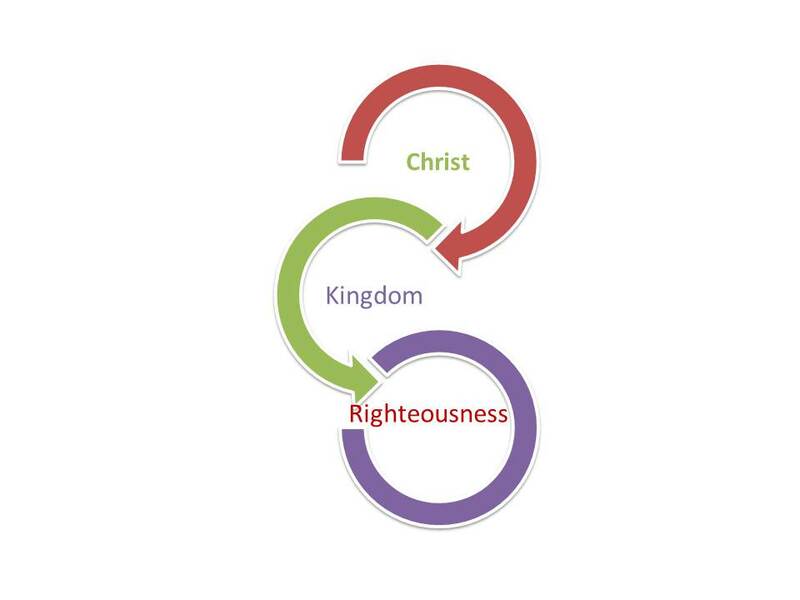 The point is that Christ has come as a king establishing the righteousness of God. There is no other Christ. Such a Christ is offensive to fleshly indulgence. He sounds restrictive, audacious, and even oppressive. His claims of eternal reward or damnation—all or nothing depending on relation to Him—are simply unbearable apart from faith. On occasion, the weight of the matter will so overwhelm the unbeliever that he will seek to silence the man or woman who carries the message. That is preaching and persecution simply explained. Davies and Allison, Matthew: A Shorter Commentary, 64. I was very encouraged at the recent California Southern Baptist Convention to hear pastors address the reality of Christian persecution in their sermons. Both Kevin Hsu and Mike Nolen mentioned the reality of persecution for Americans who obey Jesus Christ. As I have noted many times before, persecution is a concern for American Christians as much as it is for Christians in other parts of the world. While it may be true that Christians in Nigeria, Iran, Syria, and Saudi Arabia face a degree of persecution not expected in the USA, it is not the case that persecution belongs only to Christians who live “over there,” in Muslim countries or in violent, “non-civilized” places. Persecution belongs to all Christians. Paul makes plain that all who desire godliness in Christ will be persecuted (2 Tim 3:12). The question is not whether Christians will face persecution in America; rather, the question is to what degree will Christians face persecution. As it turns out, Christians face persecution to a fairly harsh degree, even in America; it simply never gets reported as persecution. 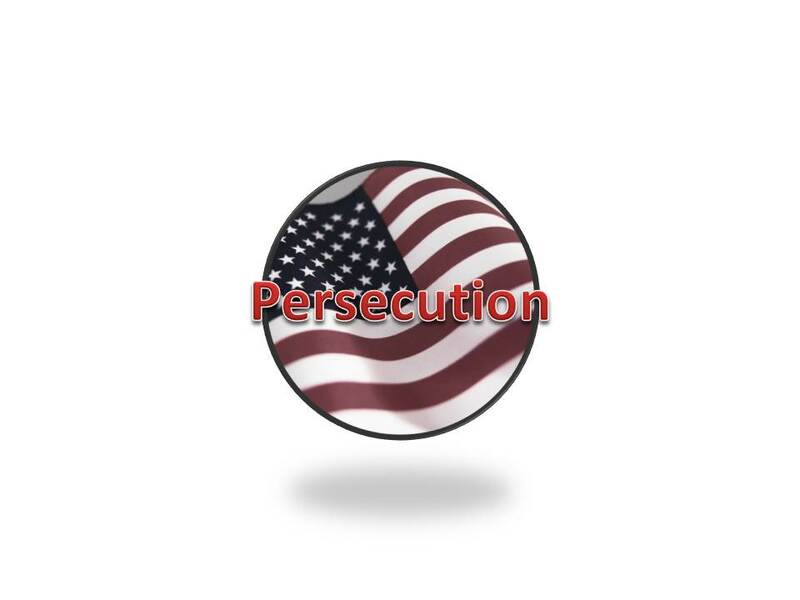 Unfortunately, even Christians are often unaware of persecution happening in the USA. A few years ago, two street preachers in Florida were shot at point-blank range a few minutes after witnessing to Jeriah Woody. Tite Sufra and William Ocean were killed by then 18 year-old Jeriah Woody. (Woody was arrested, but I am not sure whether he has been convicted). More recently, just this past Sunday, Rev. Norman Hayes at Bridge Community Church in North Hampton, OH, was severely beaten following his sermon. James Maxie, a 28 year-old man who describes himself as a militant atheist, has been arrested in the assault. According to reports, Maxie became irate when Rev. Hayes began asking Maxie’s girlfriend about her safety. Rev. Hayes had been counseling the two prior to this event. It seems clear (from the limited facts reported so far) that Rev. Hayes was attempting to maintain righteousness, while preaching, teaching, and counseling with redemptive love in view. Additionally, early reports also indicate that Hayes has attempted to bless Maxie, rather than curse him. The Dayton Daily News reports that Hayes feared for his life during the beating, yet he is still holding out hope that Maxie might find the peace of Christ. If a news agency reported two street preachers being killed in Pakistan, or a pastor being beaten after his Sunday sermon in Nigeria, then people would immediately place such hostility in the category of Christian persecution—and rightly so. I think it’s time we do the same for our brothers and sisters in the USA. No one doubts the degree of persecution in Nigeria and other places is more severe than it is in the USA. Nevertheless, persecution is of the same kind here as elsewhere. My two fellow preachers at the California SBC meeting were correct to note that persecution is on the rise in the USA. Christians in the USA need to understand the reality that Christ will not be any more welcome today than he was in his own day. If they hated him then, they will hate you now (John 15). Neither the resurrected Christ nor the fallen world has changed. It’s time for American Christians to understand. My family and I are adjusting to living in the population-dense city of Corona, CA. While Corona is not as populated as its neighboring Orange County or Los Angeles County residences, it is substantially more peopled than our prior residence in Bullitt County, Kentucky. There, we could not hit our neighbor’s house by throwing a rock. Here, we must be careful to turn from our neighbors when we sneeze. At any rate, we have been fascinated to watch how Christians have responded to booming populations. In Corona, there are about 4,000 people per square mile. And there are about 2.5 churches per square mile. Driving home from our wonderful new church (FBC Norco), my wife and I noticed several church plants. In fact, there were two church plants in a single commercial distribution facility. We passed them both and noticed their names. As a kind of thought experiment, I asked my wife which of the two she would prefer. The second church advertised itself as “The Word of Truth Gospel Church.” Clearly, this congregation hopes to keep in step with the spirit of Jesus’s own prayer to the Father in John 17:17, “Sanctify them in the truth; Your word is truth.” So, which church would you choose: The one led by the Holy Spirit or the Word of Truth? My savvy wife ended up turning the question back on me. So, here is my short reply (and admittedly a reply ignorant of any knowledge about either church beyond its name). Given only the names, I would lead my family to the “Word of Truth” church over the “led by the Holy Spirit” church. The reason is simple: One church stands or falls on experience, while the other stands or falls on an eternal, unchanging word. I am very much in favor of being led by the Holy Spirit—without the Spirit there would be no new birth (Jn 3) and no helper to call to our minds the Word of Christ (Jn 14:26). Without the Spirit, our prayers would be impossible, for He intercedes for us with groanings too deep for words, and He reminds us that we are children of God and are thus able to cry out to our Father in heaven (Rom 8:12-27). The Holy Spirit empowers us to love and to good works. We cannot live the Christian life apart from the Spirit. Nevertheless, the foundation for our faith is not the Spirit but the Word—the living Word of God who put on skin and came to live on the earth in the midst of a crooked and perverse, sin-filled people. The living Word of God in the person of Christ is the foundation of our faith. Christ is the eternal Word, whose work has wrought our salvation. The Holy Spirit applies, empowers, and recalls to us the work of Christ. Christ is foundational–the author of our faith. This distinction is slightly forced because both Christ and the Holy Spirit are one unity with the Father (the Trinity). Nothing I have said should be taken to imply division between Christ and the Spirit. But it is necessary for us to keep Christ first, for some in the name of the Spirit act as though the Spirit has the right to overrule the Word. They allow experience to trump the Word. For example, I spoke with a man who believed he should divorce his wife because she wasn’t as spiritually mature as he was. He believed the Spirit was leading him to get a divorce (his third). Another woman I know thought the Spirit was leading her to an adulterous affair. After all, God wants us to be happy, right? In both cases, experiences (and fleshly desires) were running roughshod over the clear teaching of the Scripture. The Word of God forbids such behavior (Matthew 19:1-11). So, my conclusion is, first, to say that we ought not separate the Trinity! 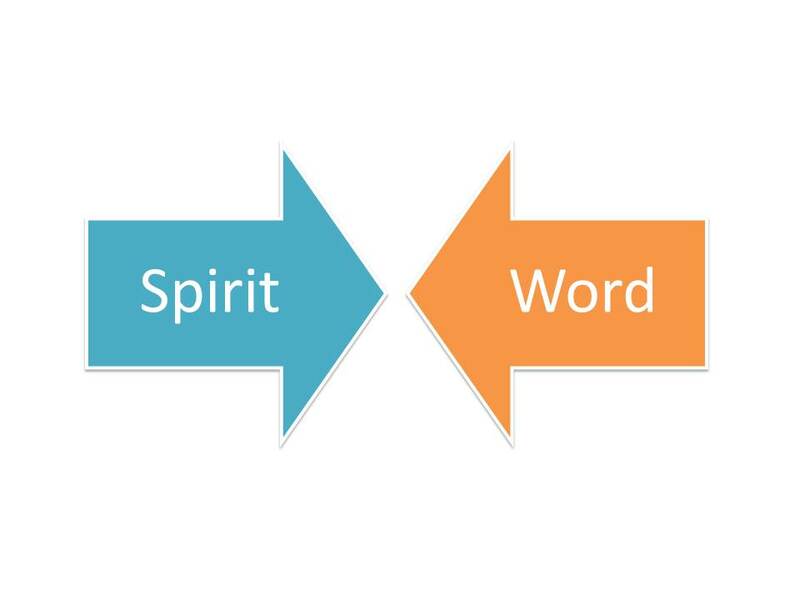 We need both Spirit and Word. 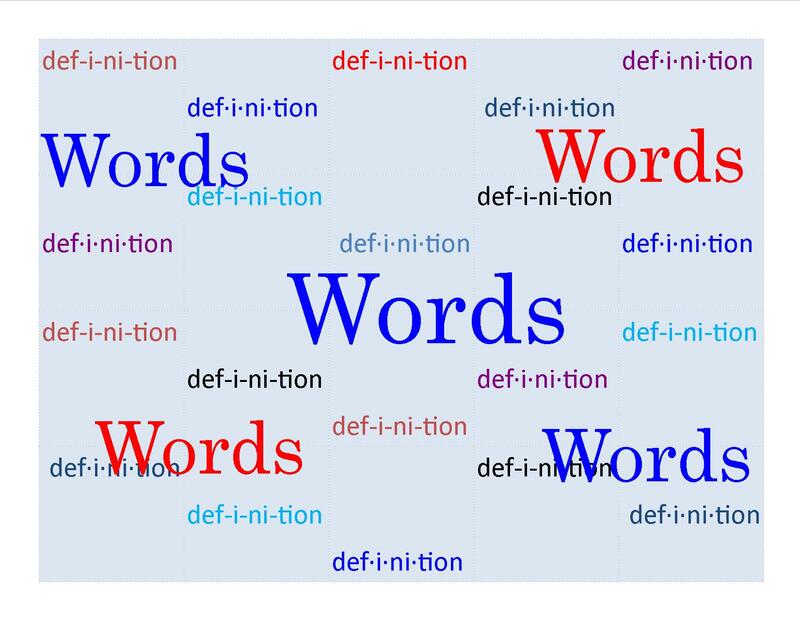 But if you are forced to choose a Spirit church over a Word church, stick with the Word. The eternal Word of God will correct your fleshly appetites and guide you in the way of salvation. Your experiences need God’s interpretive guide—that occurs when you are led by Christ’s words, obeying all that He commands you. You might remember the old western show Rawhide. Featuring the stalwart character of trail boss Gil Favor, this classic TV series launched the career of Clint Eastwood, who starred in the series as the upstart cowhand Rowdy Yates. In one episode, “Incident with an Executioner,” the crew is bedeviled by the presence of a black rider who, apparently, is seeking justice. Because of the mere presence of an executioner, everyone in the camp begins to feel both guilty and quite nervous. What if he is there for them? The presence of this black rider is more powerful than the presence of any other person on the trail because this rider represents both a judge and an executioner. 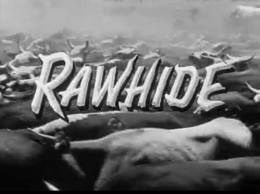 You’ll have to watch Rawhide to see how the episode ends. For my part, I mention the episode to demonstrate the power of presence. One person literally enslaved an entire crew of cowboys. A more positive illustration could be made by pointing out how much different your job would look today if the governor were to be present. What if the President were to make a stop? Everything from the traffic to the telephones would be put on hold to make way for the presence of this powerful figure. The power of presence is on display in snakes, too. A nice retreat might be ruined by the mere presence of a single, sinister, slithering reptile. The weight of presence could be referred to as “glory.” The glory of the President of the United States is much greater than any single person who holds the office. Even people who are his political enemies know instinctively to show reverence in his presence. In England, when the Queen enters, all must stand; men must bow (at the neck); and women must curtsy. One would think with all this worked-out etiquette for royalty that we humans might also have worked out a proper manner in which to respond to the presence of Jesus Christ, the Son of God. The King of Kings. And yet, the truth is, the presence of Christ is met today—as it was in the first century—with both worship (John 20:28) and sneers (Luke 23:35). The presence of the Son of God begets mocking (Luke 23:36); accusations of insanity (John 10:19-20); imprisonment (Mark 15:6); torture(Matthew 27:26); and death (Mark 15:33ff). Apparently, there is no consensus on how to behave in Christ’s presence. What is clear, however, is that no one is neutral in the presence of Christ. And where is Christ present today? According to the New Testament, Christ is always present with His Bride, the church. Repeatedly, the New Testament affirms that Christ is present with His people forever (Matthew 18:20; Matthew 28:20; Acts 9:3-6; Acts 18:10; and Hebrews 13:5). His presence with His people is nowhere more evident than it is in persecution. Persecution happens because Christ is present (see Matthew 5:10-12). So, on the one hand, the presence of Christ provokes persecution, while, on the other hand, the persecution it provokes becomes a blessing to the persecuted because it is a sure sign that Christ is alive in them. It is the power of Christ’s presence which provokes Christian persecution. The presence of Christ is actually the root provocateur of persecution. Thus, now, just as in Christ’s day, there will be times when His presence causes people to think that we are crazy (Mark 3:21); unconcerned (Mark 4:38); or even demonic (Mark 3:22). When the presence of Christ in us provokes people to make insults or false accusations, we are blessed. The provocation is not (and must not be) our own offensiveness; it must be none other than Christ Himself. When it is Christ in us who provokes others to insult us, we should rejoice and be glad. The turmoil is actually the result of Immanuel, “God with us.” Christ causes people to believe, but He also provokes others to persecute. His presence is still powerful. 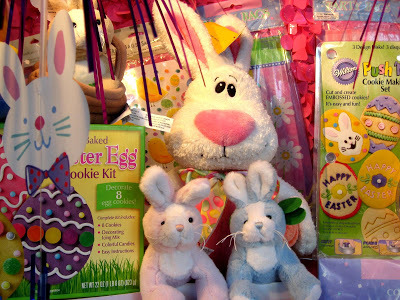 Beyond the hollow bunnies and plastic grass, Easter is a celebration of victorious life in the resurrected Christ. Today is a holy day in the life of the Christian. This Friday which we too casually call “Good” is a day of remembering the atoning work of Christ on behalf of our sinful souls. It is also a day to remember that the Christ who was opposed, arrested, beaten, mocked, spat upon, cursed, and eventually killed some 2,000 years ago yet lives and remains present with His people. Just as the Lord was persecuted when His physical visage blessed the earth, so, too, does His body still suffer persecution at the hands of unbelief. We thank our young men, trained in Somalia, for killing an infidel. Many more will die. We will burn homes and churches. We have not finished: at Easter, be prepared for disaster. Please remember both Christ and His body this Easter season. Be sober-minded about eternity and ever joyful about the victory that is ours through the Resurrected Lord. Humble yourself under the mighty hand of God, and He will exalt you at the proper time—so says the Apostle Peter (1 Peter 5:6). And time has proved the Scriptures true over and over again. One of the most recent cases is that of Bob Fu, founder of China Aid. 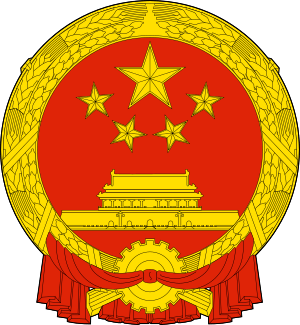 The scope of China Aid more than tripled last year (2012), yet Bob Fu has been advocating on behalf of the persecuted in China for more than a decade. Day in and day out, Fu and his ministry team have been working non-stop to bring relief to those suffering in Fu’s native land of China. Fu and his wife escaped from China (and persecution) back in the 1990’s. Shortly after arriving in America (and beginning to study theology), Fu began working to serve other Christians, starting with a campaign to save 5 pastors from an unjust execution. From his garage office, Fu began advocating on behalf of Christians in Communist China. Then, he moved his ministry to Midland, TX. He has quietly, but steadily built a solid reputation as an advocate for China’s persecuted. His ministry was exalted to center stage this past year when he helped orchestrate the escape of the blind lawyer Chen Guangchen. Negotiations were coordinated through Fu’s ministry, thus bringing Fu much recognition for his efforts. Several newspapers have recognized him this year as their person of the year. Fu’s faith has proved true, and God is now exalting his ministry to the persecuted church. Fu has also been speaking against China’s forced abortion policy, helping women save their babies. His story is empowering for all those fighting the good fight day after day in seemingly forgotten fashion. Bob Fu provides a clear example of God’s faithful presence with His people. Christ told the church that He would be present with her always, even to the end of the age. Fu’s case encourages our faith as Christ continues to prove true to His word. Thank you, Bob Fu—not just for advocating for persecuted Christians in 2012—for remembering the persecuted church day by day, year after year. What Are the Top Two Priorities for the Local Church? 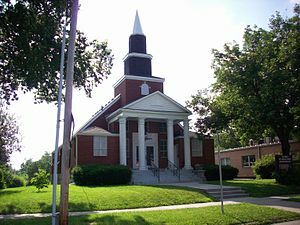 Church Building in Independence, Missouri. This Sunday, I will finish a 6 week series on the New Testament concept of the church. When Christ sought to establish the instrument through which He would sustain His redemptive work to its completion, He founded the church, called both His body and His bride. Christ’s church must accomplish Christ’s purposes and should honor her Lord. How does she do this properly? What ought to be her priorities? I am interested to hear some responses. Obviously, because I am preaching on this Sunday, I have my own opinions. I think the two greatest priorities for the church are worship and fellowship, but I understand I have my work cut out for me. There are many other possible answers. Some would hope the Church would first be salt and light, shaping the culture (this would be the Reclaiming America crowd). Others would argue for the urgency of evangelism. Who could deny the immediate necessity of reaching out to more than 3 billion souls who are presently destined to perish, apart from hearing a word of hope through the gospel of Jesus Christ? What about those who argue that social action is our top priority–feeding the hungry and serving the needy? And still others would say that missions work–sending the gospel to the unreached corners of the globe–is that which is most important. So, what are the top two priorities for the local church? Did God Cause Kids to Die in Connecticut? A brother in Christ recently asked, “Did God cause the Connecticut school shootings?” I am attempting to answer that question with this blog post because I imagine that question—or something similar to it—is on the minds of a lot of Christians. So, let me begin by clarifying some language. Clearly, God did not cause the evil in the schoolrooms of Sandy Hook Elementary. The cause of that evil was sin in the heart of Adam Lanza. It was Adam Lanza’s sinful actions which led to the deaths of twenty children, six adults, his mother, and himself. Several passages of Scripture make it plain that God is in charge of all things pertaining to life and death. God is sovereign over life and death and all things good and evil. Deuteronomy 32:39, See now that I, I am He, And there is no god besides Me; It is I who put to death and give life. Amos 3:6, If a calamity occurs in a city has not the Lord done it? 1 Sam 2:6-7, The Lord kills and makes alive; He brings down to Sheol and raises up. The Lord makes poor and rich; He brings low, He also exalts. Lamentations 3:37-38, Who is there who speaks and it comes to pass, Unless the Lord has commanded it? Is it not from the mouth of the Most High that both good and ill go forth? Job 2:10, But he said to her, “You speak as one of the foolish women speaks. Shall we indeed accept good from God and not accept adversity?” In all this Job did not sin with his lips. Job 37:13, “Whether for correction, or for His world, or for lovingkindness, He causes it to happen. Proverbs 16:4, The Lord has made everything for its own purpose, even the wicked for the day of evil. In accordance with Scripture, we would have to say that it was God’s will for those 28 people to die in Connecticut last week. A day is fixed by God for death for all people. After this death, the judgment comes, and no one knows the day or the hour. Some people die at birth. Others die at a hundred and three. Some die in plane crashes, others of sickness and disease. Some, sadly, will die at the hands of an evil murderer. So, these died on their appointed day. We do not know how these things are ordered by God, but we know that they are. So, it was God’s will? That still doesn’t seem exactly right to say, does it? On the issue of God’s will, the Scriptures are clear that murder is wrong: Thou shalt not kill. It was not God’s will for this man to kill these children. And yet it happened. And nothing happens outside of God’s ultimate will. So how could this happen apart from God’s will, and, if this is God’s will, how could He not be considered the cause of it? For truly in this city there were gathered together against your holy servant Jesus, whom you anointed, both Herod and Pontius Pilate… to do whatever your hand and your plan had predestined to take place. So, it seems there is a revealed will of God–that which we should do–and a secret will of God–that which we do not know everything about but must trust God’s hand to accomplish. There is an immediate cause of sin which brings death, and there is the ultimate cause which God is accomplishing through sin and death. Adam Lanza caused the deaths. But, ultimately, the cause of all things is God, who is working everything according to the counsel of His own secret will. In the ultimate reality of eternity (of which we by faith can see only darkly), God causes all things to work together for good for those who love God, for those who are called according to His purpose (Romans 8:28). In the immediate reality of a world filled with sin and death, there will be gross injustice and dire despair. But there will come an ultimate day when all things will be made new and made clear. A day of triumph in Christ when righteousness will finally prevail. Even when we can’t see God’s will, we can still trust His word. Where Is God When Kids Get Shot? Yesterday, twenty kindergarten children were mercilessly murdered by an evil young man. Some have shouted, “Where is God?” in the face of this utterly unspeakable tragedy. A friend of mine posted a quick reply to the cynical inquisition: “Where is God? He was kicked out of schools in America years ago.” There is truth to that remark. I heard a news panel discussing the situation this morning, and one of the newscasters observed that we refuse to allow mention of God in the schools throughout the year, and, yet, we want to know where He is when tragedy strikes. This particular news commentator then said that prayer returned to the Sandy Hook school yesterday, and he recounted a story of a teacher huddling her children into a closet and praying over them. In crisis, we return to foundational principles of faith to offer some sense to the senseless. But what good is faith in this situation? Where is God? Actually, God has spoken to this situation. In these last days, God has spoken to us in His Son (Hebrews 1:2). God, in love, sent His Son, so that whoever believes in him would never perish but would have eternal life. Jesus did not come to play religious games. He did not come to teach meditation techniques. He did not come to establish a religious cult. He did not come as a football for American politicians to kick around. He came to deal with the serious curse of death which has reigned since the time of Adam and Eve, our original human parents. Adam’s son Cain committed the first human murder, perhaps wiping out ¼ of the human population at that time. Abel was innocently worshiping God when his brother Cain fell upon him and mercilessly slaughtered him. Murder has had its allies ever since. Jesus did not come to earth to rid the planet of murder—at least not yet. There will be killings until Christ returns. However, though Jesus did not come to answer murder, he did come to answer death. Death is a curse over all humankind. In love, God has offered human beings an answer for the curse of death. Christ paid the death penalty for all who believe. He also has been raised from the dead, demonstrating that death is not final; it need not be the final word. There is another word: Life! Jesus Christ even called himself the resurrection and the life. He said He is the truth, the life, and the way. Christ did not say this because he was on some exclusive power trip. He said it because it is true. There is only one answer for death: the resurrection life of Jesus Christ. Where was God yesterday? The same place He remains yesterday, today, and forever—speaking to us in His Son, saying death is a curse that you are all under. Young and old alike will die. Some, sadly, will kill. But Christ gives life. Christ is the Resurrection and the Life. A costly mistake by the goalie at the end of their game against El Salvador cost the U.S. men’s soccer team the opportunity to play in the London Olympics. Because the Olympic team is made up of men under the age of 23, most of those on the team will never have an opportunity to play in the Olympics. One error—one mis-timed jump from the goalie—cost the entire team the chance to go for golden glory. In a separate incident in Canada, a group of papermill workers received bills in the mail stating that they owed their former employer between $20,000 and $30,000 because of an accounting error by someone who administered their pension plans: a costly error indeed! What would you do if all of a sudden you owed someone $25,000? Mistakes are often costly. What is true in the diurnal affairs of athletes and laborers is also true in the eternal affairs of every soul. Errors can be costly—even deadly. This past summer, a driver of a pickup truck made a costly mistake in operating his truck, causing the vehicle to veer off the main road, over the shoulder, and into a very large tree. The tragedy was compounded by the error of cramming 18 illegal immigrants into the truck before driving it into Texas. In all, about a dozen people died in that crash; several others were left in serious condition. Errors are costly. More to the point of grace, however, is the fact that God knows our weakness. He understands that we are but dust. We are earthen vessels. We all make serious mistakes. From ages past, God has made a way to cover not just sins but also mistakes. Our mistakes and our sins of ignorance are atoned for by Christ. God has shown this desire to forgive frail creatures throughout history. God has always offered His people an atoning work that is so complete it overs sins of omission and sins of commission. God’s atonement covers more than just the sins we knowingly committed; it also covers sins committed in ignorance. God atones for every degree of sin. You are to do the same on the seventh day of the month for anyone who sins unintentionally or through ignorance; so you are to make atonement for the temple. Ezek 45:20. The sacrifices of the Old Testament all pointed to God’s provision for His people—a provision great enough to cover for sins of which people were not even aware. The completion of the sacrificial system happened in Christ’s “once for all” sacrifice of Himself, and His was no less magnanimous than the Old Testament version. The sacrifice of Christ for His people accomplished a complete redemption, forgiveness, and cleansing. Thank God!, Our forgiveness and cleansing is not contingent upon our remembering and reciting every sin. This is significant because, like infants, we don’t really have a clue about the damage our sins have done. None of us knows the depths of our own sins. Christ knows and yet cleanses us from all unrighteousness. Making mistakes in our doctrines and beliefs may prove fatal, but getting doctrines right before God always proves to be life-giving, cool water for the thirsty soul. When we began Project 13:3 as a ministry to the persecuted church, we ran the idea by some friends to get their input. Below is a video of a conversation I had with a very good friend of mine, Jeff Mooney. Dr. Mooney is a Professor of Old Testament at California Baptist University. The video below is Part 1 in a series of videos which discuss what the Bible teaches about persecution. The videos also explain the need for a ministry like Project 13:3. I would love to get more input from some of you. I will post more videos in the future, and I will pass along your criticisms and comments to our video editors for future work we are planning to do. Please let us know if the videos are helpful and what could make them better. Thanks!